– I was thunderstruck by Tokido. Now, the season came and has passed again this year. Yes. 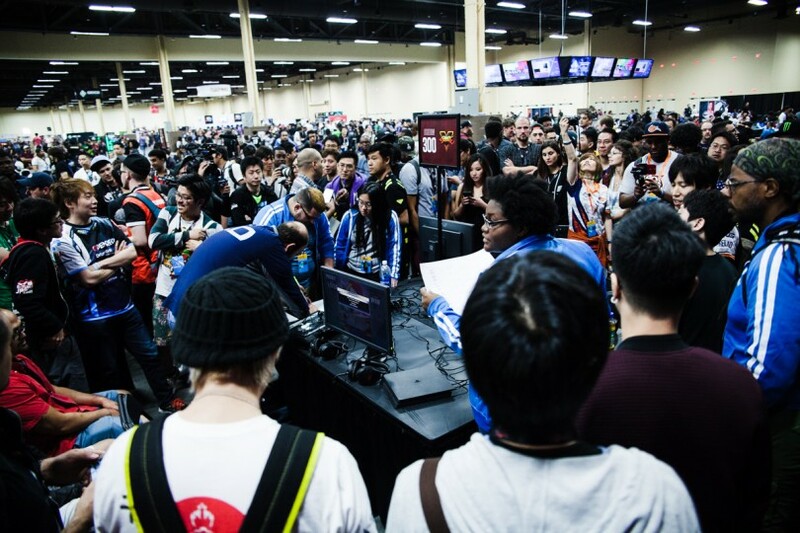 An international tournament I bet every fighting game player knows – Evo. Some of you might feel "cheesy!" when seeing the title at first haha. But, when looking back, I actually realize I've been linked with "Tokido and Evo" for some reason. Evo was initiated in 2002. It had been run as "Battle by the Bay" before then. To my surprise, Evo 2017 marks the 16th anniversary, even excluding "Battle by the Bay." Today, it's such a great event that we can say with certainty it's the world's biggest fighting game tournament. Although I didn't attend to the inaugural Evo in 2002, I remember that intensely stimulated me who was still teenage. The existence of me as a fighting gamer today might owe the experience seeing a video of Evo 2002. This time, I'll tell my old stories, just a little bit. These are what I've not told a lot until now, but I'll write them up under favor of Tokido winning Evo 2017. 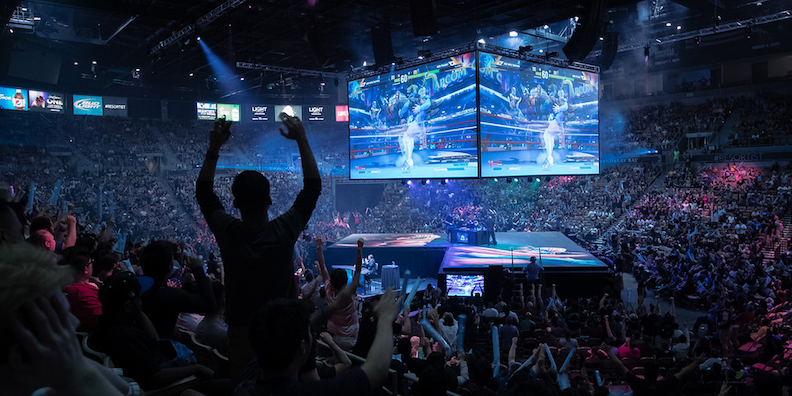 And in the latter part, I'll hopefully relay to stories about such a dramatic event that will go down in FGC history, Evo 2017. I hope you all would read that as well. Only a few Japanese gamers knew Evo back then, and as far as I can recall, five or less of "Capcom vs SNK 2" players attended to Evo. 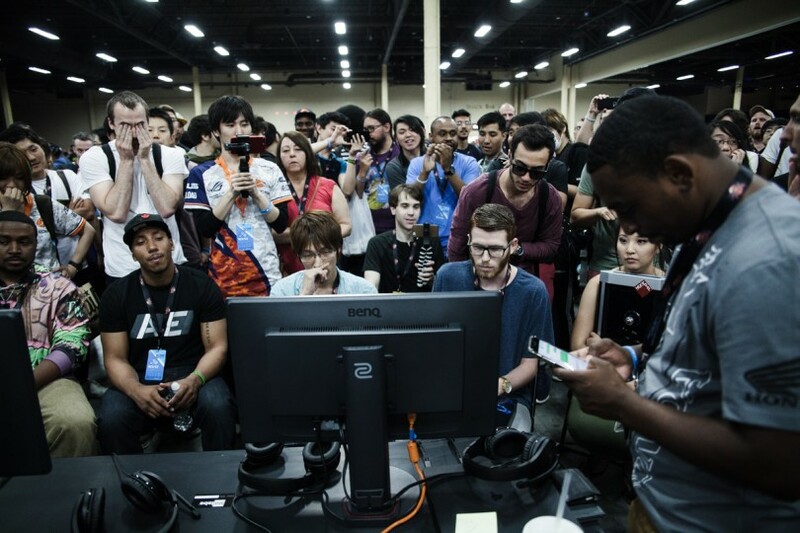 However, the topic of them rushing into America was much talked about by Japanese competitive players, who knew only Japanese FGC. Everyone was trying to track them, and of course, so was I. At that time, I just began to regularly go to Tokyo to play games from Yokohama. Although I had never seen him in person, let alone talked with him, I knew his name before I was aware. Because he was well known to those in the know since the release of CvS2 as a strong player, even though he was one year junior to me, who was still considered as a "young player." But to be honest, I didn't understand "his strength2 although I'd heard he was strong, as we had not fight and play the same game hard during the same period. I only heard stories about him as we couldn't see gameplay movies easily as we do today. "Tokido allegedly won by beating Nuki(†) at the grand final!" † Shinya Onuki. One of so-called "the Five Gods of Fighting Games," who rivaled Daigo Umehara for a long time since the era of Darkstalkers 3. The stories about them can be read in the comic "Daigo the Beast: Umehara Fighting Gamers!" At the present, he's not a competitive player. I was really surprised at this. Because Nuki had won the official nationwide tournament shortly before that, overwhelming all the other players. I felt like "is anyone able to beat him in the world?" Seriously haha. "Tokido's E. Honda is fxxking nasty!" I was more surprised at this than I had. I had heard Tokido mastered Saggat, Blanka and Claw, but compared to today, most people tend to fix their character picks and play as the same characters every single time, despite the system of CvS2 where they could've picked up to 3 characters. And top of that, many of them even fixed the order of the characters. Nevertheless, he beat Nuki with E. Honda, which I had almost never heard that anyone used nor seen anyone use... ? All the information was so mysterious that I couldn't allow myself to believe it. In such a case, you must go and see for yourself if it's true. We had no Youtube nor online streams, but fortunately there was a video of the match online that a man filmed at the venue and uploaded. So we finally managed to see it. By how strong he was? – No. Of course he was strong, but he had something different from it. By his highly precise technique? – This isn't it, too. Or rather, his precision was not so high, to be honest. We had a lot of "regulations" in FGC such as what I've mentioned before. Actually, they were not real regulations. It was like a world where samurai fight only with their swords in a single combat. Cherishing good old things and courtesy, constructing a strategy to win carefully, and carefully. brought a "machine gun" called a super-turtling strategy into such a "sword world." That was what we knew we must not do. If a samurai had seen it, he would have remonstrated in a second. Of course, there were other eccentrics who was trying to bring "that kind of weapons." And I was one of those. I was such a mediocre that I managed to fight against top players fifty-fifty with a "handgun." But it seems like even such an eccentric is gradually corrected before he or she knows, as being in such an environment for a longer time. And no one will pick up a machine gun. Maybe because of that, we only depended on knowledge and experience and my skill stagnated at that time. "What? We are allowed to do that?" You think it's weird, don't you. The regulations were not official ones and we could have done what Tokido did, but I really innocently thought like that. It was like I was impressed. Right from the day I saw the video, you know, I started practing with E. Honda, because... I was eager to win! After I was affected by Tokido's E. Honda, I had used E. Honda for a year. E. Honda was a turtling character so that an opponent couldn't always do what he or she wanted to do. Some players were unwilling to fight me. But All I wanted was to "win." Probably my youth had my E. Honda turtling forever. Maybe because of that, I was able to win the third place at Evo 2003, which I plucked up courage to attend to. In addition to it, I won the nationwide tournament called Tougeki '04 with E. Honda as beating Tokido, and I also won Tougeki '05 in another game, teaming up with Tokido. As time has passed, experience of playing various games and characters shaped the way I am today. I might not be writing this. So, "Evo and Tokido" are special to me. Okey, no more old stories haha. As I've told you, you'll have the latter part another day. That's going to be about "Evo 2017," which I also have a quite strong attachment to. Wait until you read that.